A friend introduced me to www.eyeslipsface.com about a year ago and I placed my first order. 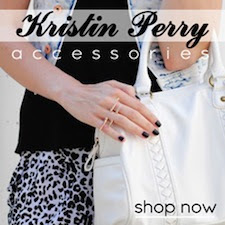 With a special coupon code, the total order tax + shipping came out to be $1 for each item! I was really impressed. I'm an amateur makeup user, but I was quite happy with the majority of my 16-item order. 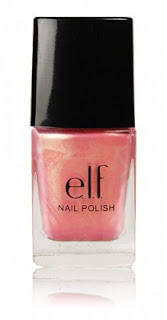 Compared to N.Y.C., Jane, Wet&Wild and other low-end drugstore brands, E.L.F. 's makeup was definitely worth it - and even cheaper! There are lots of cool features on the site, including a Virtual Makeover Program (use your own photo or a model's and try on makeup before you buy: I tried it and all the colours seemed way too subtle, which is not true in real life), Get the Look guides, and awesome customer reviews for each item. Always see what others have to say before you buy! Sometimes the colour displays aren't very accurate. I will review select items I bought in that first batch. I am Asian with slightly tannish yellow undertones. This eyeshadow combo is perfect for the smokey eyed look. I personally use the second colour the most, usually by itself for every day use. The colours are also very pigmented and sparkly though they seem matte from the picture. Another tip: When searching for a colour go by the image you see when you scroll over the item. They seem to be more accurate than the ones next to the order form. I'm usually not a huge fan of lipgloss because it catches my hair all the time, but I'm not big on lipstick either since it dries out my lips. However, this lipgloss is thick but not goopy and the coverage is super even. There's no weird taste either and the container is nice and clean. You take off the cap and twist the bottom to release some of the gloss and apply. No more fishing to the bottom of the tube/along the sides for the last drop! I was also impressed because lip colour makes me look like a clown. This shade really fit my lip colour - give it a try! 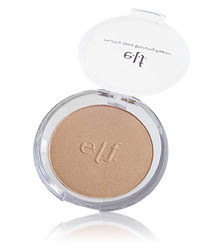 I never used bronzer before but I was really happy when I tried E.L.F's. I use apply it to my T-zone with a big brush (I usually use E.L.F's Total Face Brush) to finish off the look. It makes my face more radiant and replaces the unpleasant forehead shine. A little dab underneath the eyes, on the nose, and on the forehead brightens up the complexion very well. I am ordering the bronzer in Warm Tan (a darker bronze) to highlight my cheeks to create the illusion of high cheekbones. Drop 10 pounds in an instant! Final thought: These brushes are great for only a dollar! They may not be as fancy as MAC brushes, but their quality is comparable. I am going to purchase the Defining Eye Brush for creases, Blending Eye Brush, and Eyeliner Brush in my next order. Perhaps I chose the wrong colour, but it didn't blend well with my skin colour. It was strangely yellow. Also, this product is super watery and has poor coverage. If you need a concealer, don't get this one. I thought this shade would be pretty with all its pink and gold shimmer but this colour looks horrendous on Asian hands! I'm sure on people with super fair skin, it would look great, but against our yellowish undertones, it just looks gross. The quality of the nail polish isn't bad - better than the 88 cent BonBons from Walmart and drugstores. This eyeliner was average. It sometimes leaves gaps during application and rubs off easily, so you may have to go over it a few times. Plus it has this weird medicine odor that emits from the tube but isn't noticeable on your eyes. I did like the hard-tipped applicator because it gives more control than the soft brushes in Wet&Wild eyeliners. I am curious about the other shades (i.e. Plum and Stardust) so let me know if you try them! Finally, as a little gift, here are some coupon codes to get you started on saving! E6SHIPT: $1.98 shipping on any purchase of $15 or more.